Vanessa Siatka was killed in the Phoenix Park in 2015, a year before her brother was born. A 23-MONTH-OLD child, who had not been conceived when his sister was tragically killed in a hit-and-run accident in Dublin’s Phoenix Park on 6 April 2015, was today awarded “grief money” for her death. Marcel Siatka was born on 25 May 2016 — one year and 47 days after his sister Vanessa died in what a trial judge then called the worst case of dangerous driving he had ever heard of. Barrister Conor Kearney, counsel for Marcel and Vanessa’s father Lukasz Siatka, told Judge Terence O’Sullivan in the Circuit Civil Court that the Injuries Board had assessed damages of €42,777 to be divided between Vanessa’s surviving family and to include the cost of her funeral. Kearney, who appeared with Suzanne McDonnell of McDonnell & Company Solicitors, said the Injuries Board had not, in its assessment, considered compensation for Marcel as he had not been born at the time of Vanessa’s death. Judge O’Sullivan heard that, under the provisions of the Civil Liability Act, Siatka had taken a claim on behalf of members of his family, including Marcel. Siatka, of Brandon Square, Waterville, Blanchardstown, Dublin 15, said Vanessa had a brother born more than a year after her death, who was not included in the assessment. Kearney said the funeral, including a headstone, had cost €7,240 and the solatium, more commonly known as ‘tear money’, had been assessed at €14,500 each for Vanessa’s father Lukasz and her mother Katarzyna, with €2,000 each for three grandparents. There were also other expenses. He said it was for the court to approve the assessment and the parents had stated that they had no difficulty with compensation, as decided by the court, being shared with Marcel, the brother Vanessa had not lived to know. Judge O’Sullivan said it was not a particularly nice exercise to have to divide money between members of the family but he felt it would be appropriate to mark the fact that Marcel would undoubtedly make inquiries in the future about his sister and would experience grief for her loss. He said the €6,000 allocated to the three grandparents should be reduced to €1,500 each so as to allow for Marcel to also receive €1,500, and he directed that Marcel’s money be paid into court for his future benefit. He offered the court’s sympathy to the family. Ciaran Lane, the then 25-year-old hit-and-run driver, of Ashington Avenue on Dublin’s Navan Road, pleaded guilty to dangerous driving causing Vanessa’s death. He was jailed in April 2016 by Judge Patrick McCartan for seven years with the final two years suspended. 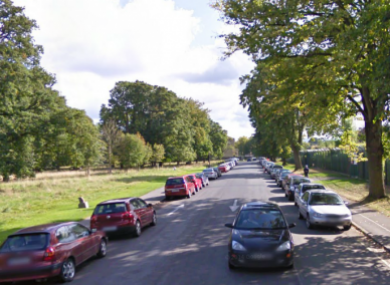 Garda Owen O’Doherty, of Cabra Garda Station, told the trial judge that the accident happened on Easter Sunday 2015 at a roundabout in the Phoenix Park. Vanessa, who was 23 months old at the time, had been standing next to her mother and the family’s parked car when Lane, now aged 27, in a Toyota Corolla hit her at high-speed and dragged her for some metres. The court heard that he drove off at speed but later gave himself up to gardaí in Cabra. During the course of the sentencing hearing, evidence was given that Lane had consumed a litre of vodka and 2g of cocaine before taking to the road in his car with two friends that day. Judge McCartan had heard that Lane had panicked and ignored the pleas of his friends to stop. When Lane heard about Vanessa’s death it had hit him “like a tonne of bricks”. Email “Young boy awarded 'grief money' over sister's death in hit-and-run”. Feedback on “Young boy awarded 'grief money' over sister's death in hit-and-run”.